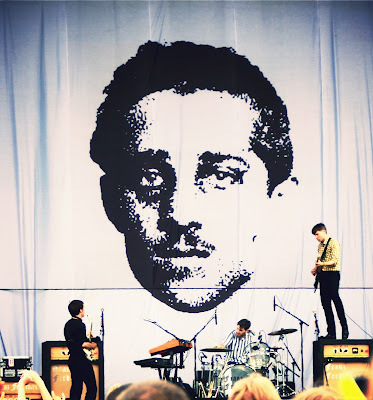 The 5th annual Outside Lands Music Festival brought the rock August 10-12th in San Francisco. Set in woodsy Golden Gate Park, festival goers got to experience a wonderful blend of nature and metropolitan in one of the best festivals in Nor Cal. With big-name headliners this year, one might think that this fest might've lost its down-to-earth vibe. Turns out we won't have to worry about that. Not only was the venue fantastic, the food absolutely delicious, and the people friendly and ready to have a good time, the musical acts were impressive and just plain fun. Here are some of Write To The Beat's favorite acts from the weekend! Definitely my favorite act of the weekend, hands down. I never would have expected such an enjoyable and amusing show when I cruised over to the smallest stage Saturday afternoon. 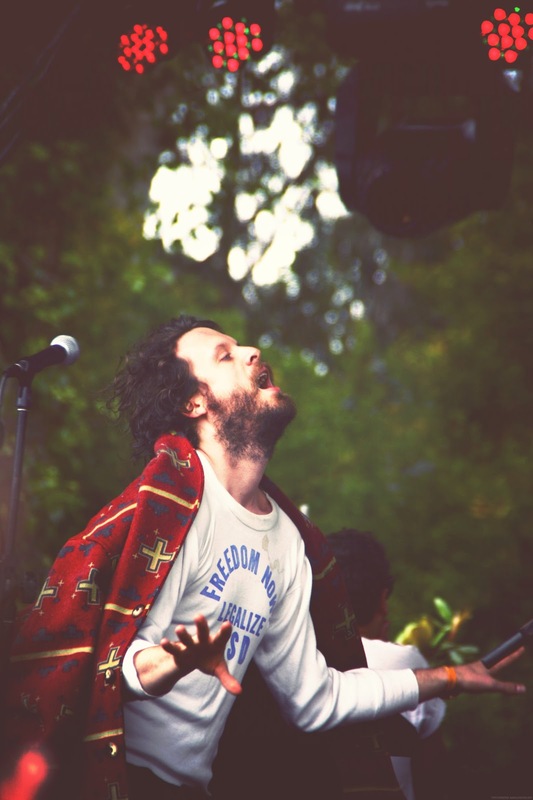 Joshua Tillman, formerly of Fleet Foxes, performed at the festival under the moniker Father John Misty. He was certainly one of the most pleasant surprises of the weekend, capturing the audience with his witty banter and jokes, sultry dance moves, and killer back-up band. The band's lead guitarist displayed incredible talent, shredding on some rocking solos as the entire band jumped and jived to their music. 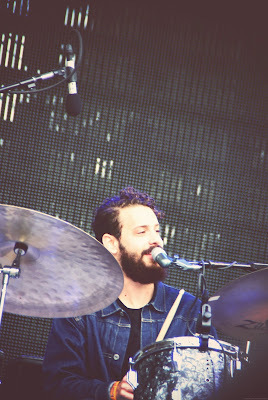 The first band to play on the Twin Peaks stage this weekend was PAPA, a four-piece group led by lead singer and drummer (previously of the band Girls) Darren Weiss. The crowd was loving the energy as they rocked through a 45 minute engaging set of their tunes. PAPA had a really strong turnout even though they had an early set, with many dancing and jumping to the band's lively music. They were clearly a fan favorite, and PAPA is bound to be going places this upcoming year. The Icelandic band Sigur Rós performed an electrifying set on Saturday night. 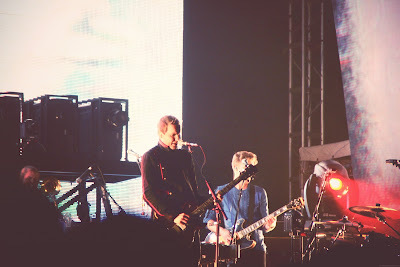 Perhaps it was because Metallica was performing on the main stage that night, but the crowd at Sigur Rós was lively and engaged, definitely a plus. This band is unique and fascinating, and I was completely and utterly wrapped up in the evocative beauty of their music. It was certainly a spiritual experience for me and many others in the crowd. Though these guys have been lying low since the band's 2009 Tonight: Franz Ferdinand, Franz is back with a kick. They played all their old favorites and had the packed main stage dancing it out during the whole set. These Scots really know how to rock out, ending their act with all four members concurrently participating in a 5 minute drum solo (on one drum set). It was a full-on dance party at the Panhandle when Electric Guest took the stage; their songs were just made to dance to. 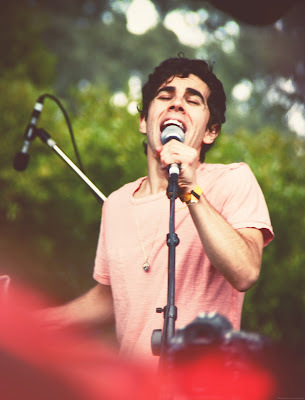 The lively tunes, reminiscent of 70s funk and jazz, combined with the killer falsetto of lead singer, Asa Taccone, are certainly a crowd pleaser. This band released their debut album, Mondo, only April of this year and are bound to be heard more and more these next few months. Stevie Wonder has and always will be a legend. Everyone had a blast at his set, with the whole crowd singing and grooving, making it was a fantastic way to end the weekend. Not only did he play many of his most popular songs (did you know he's had more than 30 top ten hits?? ), but Stevie also played some great covers, like "My Girl," "How Sweet It Is (To Be Loved By You)," and more. Mr. Wonder also took the time to emphasize his well-known philosophy of loving everyone, and urged us at the festival to do the same. His great music and soulful ease on stage continues to make him a great performer. Having seen this band at Sasquatch, I knew that Alabama Shakes would draw a huge crowd, but nothing could have prepared me (or the rest of the festival-goers) for the massive amounts of people at their set. The whole "Lindley Meadow" was PACKED with thousands of people, all vying for a chance to see Brittany Howard and the rest of her crew play their well-known tunes. Never turn down the chance to see these guys live, they play a show like no other! This girl's got guts. It has to be mildly terrifying, stepping out onto a huge stage to a large crowd of eager fans. But you wouldn't guess that Regina has any qualms about performing. She started her set with an amazing acapella tune and her act just got better from there. Her voice is as impeccable live as it is on her album, and her quirky style and sweet demeanor really drew me in. A very talented singer-songwriter, indeed. Foreign Slippers - "It All Starts Now"
Tunesday: Katy Perry - "E.T. (Noisia Remix)"
Pinback - "Proceed To Memory"
Tunesday: Grynch - "My Volvo"